Only from Bag of Beans at The Lake Hotel, Tagaytay*. *Photo taken on July 11, 2010 at Bag of Beans at the Lake Hotel, Tagaytay. It has since been replaced by a different coffeeshop. oh yummm!!!! sana bag of beans is in Metro Mla. lang. hehe. 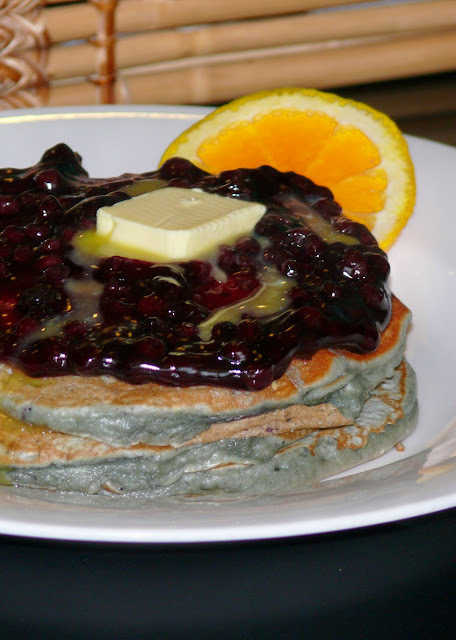 anyway i also love Pancake House's blueberry pancakes. MMMMM!